Taking place at the London O2 Arena, the Brit Awards were recently held. This year, like previously, a plethora of musicians were expected to perform at the event and Pink as well as Dua Lipa were among them. Recognising the best of Great Britain when it comes to the music industry, the 39th annual Brit Awards took place on February 20, 2019. Pink was reportedly one of the artists who performed for the big night. She was recognised as the first international artist for outstanding contribution to music. Furthermore, Pink was not the only major singer to give a performance at the Brit Awards. Indeed, Dua Lipa, the star of last year’s show, also gave a rendition of some of her most famous songs. The Baritone singer George Ezra was also present on stage as well as Hugh Jackman, the Hollywood actor. Held for the first time in 1977, the Brit Awards are also known for their wild performances and range of hosts. In 1989, Samantha Fox and Mick Fleetwood were remembered for delivering a chaotic presentation. Michael Jackson famously appeared on stage alongside children in 1996 and Madonna suffered some injuries after a fall in 2015. 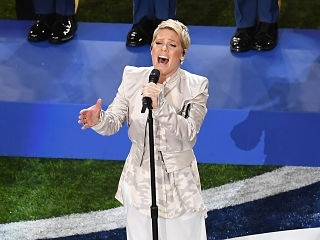 A best-selling artist, Pink has garnered sales of over 90 million records internationally. Alongside two Brit Awards, the musician has a variety of accolades including at the Grammys. Her most successful songs are ‘Get the Party Started’, ‘Don't Let Me Get Me’ and ‘Just Like a Pill’.